Literal Numbers (or literal): Algebra is a branch of mathematics in which all the arithmetical operations are performed by using letters (like a, b, c, …. p, q, r,…….. x, y, z) alongwith numerals. The letters used in algebra represent generalised numbers (or unknown) numbers. They are called literals. 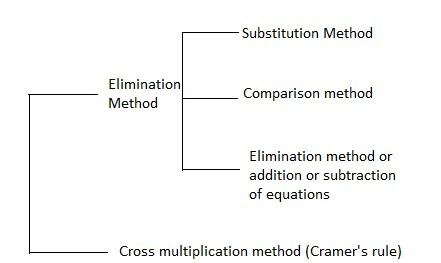 Operations on Literals: Since literals represent numbers, so they obey all the rules of operations of addition, subtraction, multiplication and division of numbers. x * y = xy (xy = x+ x + x+ ……. y times. x÷0, i.e., x/0 is not defined. Constants: A symbol which has a fixed value is called a constant. Eg. 4, 5, 0, -3, 2/5, 3 2/7, etc. Variable: A symbol which can assume various numerical values is called a variable. Here, length (l) and breadth (b) can assume any possible numerical values. Here a can assume any possible numerical value. Price of 10 balls = 10x = 10*2 = 20 or 10 * 5 = 50, etc. Here x can assume any possible numerical value. A collection of constants and literals connected by one or more of the operations of addition, subtraction, multiplication and division is called an “Algebraic Expression”. The various parts of an algebraic expression separated by – or – sign are called “terms” of the algebraic expression. (i) Monomial: An algebraic expression having only one term is called a monomial. (iii) Polynomial (multinomial): An algebraic expression having two or more than two terms is called a multinomial or polynomial. Product: When two or more constants or literals (or both) are multiplied, then the result so obtained is called the ‘product’, 7xy is the product of 7, x and y. Factors: Each of the quantity (constant or literal) multiplied together to form a product is called a ‘factor’. In 7xy, the numerical factor is 7 and literal factors are x, y and xy. Constant term: The term of an algebraic expression having no literal factors is called its constant term. In algebraic expression 3x2+7x+8, the constant term is 8. A function is an operation which forms a relation between two variables. E.g., y=x2, y = 3x, y=x2+3. All the polynomial expressions that can be written as y = f(x) can be represented in two dimensional co-ordinate system. Now we plot the graphs as per the values obtained in the table. If a polynomial (i.e. a rational integral function) f(x) is divided by (x-a), then the remainder is obtained by substituting a for x in f(x), i.e., the remainder is f(a). If f(x) be a polynomial (i.e. rational integral function) in x and f(a) =0, then (x-a) is a factor of f(x). By remainder theorem if f(x) be divided by (x-a) the remainder is f(a). But f(a) =0, there is no remainder. Hence (x-s) is a factor of f(x). HCF/GCD (Greatest Common Divisor) : A polynomial h(x) is called the HCF or GCD of two or more given polynomials, if h(x) is a polynomial of highest degree dividing each one of the given polynomials. LCM (Least Common Multiple): A polynomial P(x) is called the LCM of two or more given polynomials, if it is a polynomial of smallest degree which is divided by each one of the given polynomials. If P(x) and Q(x) are two polynomials such that Q(x) ≠ 0, then the quotient P(x)/Q(x) is called a rational expression. Every polynomial is a rational expression but a rational expression need not be a polynomial. The rational expression P(x)/Q(x) is said to be in its simplest form (or in lowest terms) if the G.C.D of P(x) and Q(x) is 1. To express a rational expression in its simplest form, express the polynomials in the numerator and in the denominators as product of simplest factors (i.e. no further factorization is possible), and then cancel the common factors. Make one factor common by taking two or three terms together. Rewrite the terms of the other factor in decreasing or increasing power of the next letter. Repeat the process till all the factors are found out. ∑x = x+y+z for letters x, y, z. Equation: A statement of equality which involves literal number(s) is called an equation. e.g., 4x = 12, 4+x=10, 7-2x=5 etc. An equation in which the highest power of the variables involved is one, is called a linear equation. E.g. x+y = 10, 7x = 21, x/3 =8. An equation containing only one variable (literal) with highest power 1 is called a linear equation in one variable. E.g., 17x = 51, 23+x=30, etc. An equation of the form ax+by = c, where a, b, c are real numbers is called a linear equation in two variables x & y. 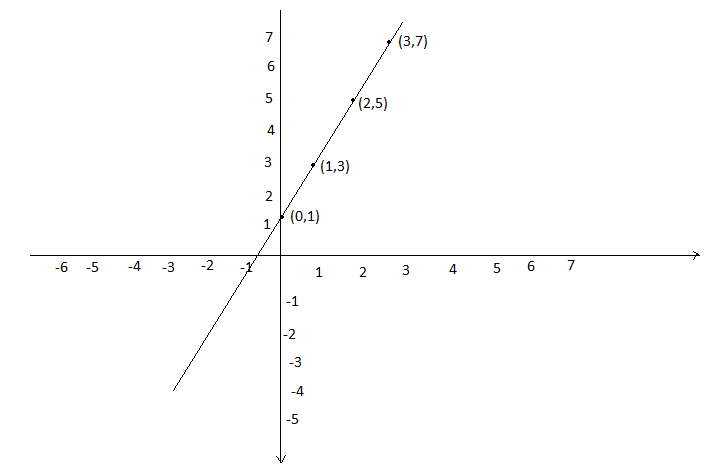 The graph of a linear equation ax+by =c is a straight line. 3x+2y = 18, is an example of linear equation in two variables. => The value of the variables that satisfy the equation is called the solution (or solution set) of the equation. The same number may be added to both sides of the equation. The same number may be subtracted from both sides of the equation. Both sides of the equation may be multiplied by same non zero number. Both sides of the equation may be divided by same non zero number. A term may be transposed from one side of the equation to the other side, but its sign will change. This is called rule of transposition. The graph of an equation of the type x=k (where k is a constant) is a straight line parallel to the y-axis at a distance of k units from the y-axis. The graph of an equation of the type y=k (where k is a constant) is a straight line parallel to the x-axis at a distance of k units the x-axis. The point of intersection of the two lines gives the solution of the two equations. A single linear equation in two variables has infinite no. of solutions. Consistent system: A system consisting of two simultaneous linear equations is said to be consistent, if it has at least one solution. Inconsistent system: A system consisting of two simultaneous linear equations is said to be inconsistent, if it has no solution. => The homogeneous system has a non-zero solution only when a1/a2 = b1/b2 and in this case, the system has an infinite number of solution. => A system of equations has unique solution, when only one variable satisfies the equation. => For a system of equations a unique solution is possible only when the number of variables is equal to or less than number of independent and consistent equations. => The equation of the type ax+by = c and kax+kby = kc are known as dependent equations. Algebraic methods of solving simultaneous equations in two variables.